The latest model of the Cordless Phone RTX is currently the DUALPHONE 4088. It can be simultaneously connected to two phone lines: 1 terrestrial analogue PSTN telephone line cable with RJ-11 and 1 VOIP (SKYPE) line through a RJ-45 cable and an internet connection. In this way, you can choose at any time which line is more convenient to use between the available for outgoing calls and you can be reached on two contemporary lines with a single incoming phone. One of the most important features of DUALPHONE 4088 is that to use, simply connect it with an ethernet cable (RJ-45) to a modem / router with ADSL internet connection FLAT broadband, so it is not necessary the connection to a PC (as required, for example, by the previous model DUALPHONE RTX-3045 ). 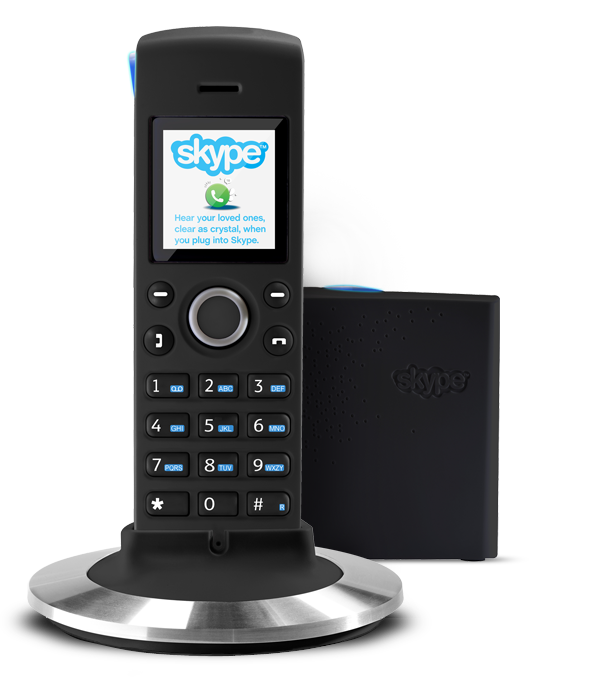 The DUALPHONE 4088 allows you to receive automatically updates of the phone software (firmware) so it can be corrected and improved by the manufacturer if SKYPE modifies some functions! It also has a color LCD to better appreciate the characteristics of SKYPE (status icons, photos and pictures of the account) and allows you to manage 2 SKYPE account on the same phone! The Dualphone RTX 4088 is a good product but beware of the firmware versions you have on your phone or you may encounter some problems in configuring it. In fact, the phone works fine if the router / modem that handles the connection to the internet has preset the DHCP . The phone usually is preset to use the 'dynamic addressing' using just DHCP, but if you need to change the address from dynamic to static (you have to assign static IP addresses on your phone, the primary and secondary DNS, and default gateway) you have to keep in mind that with the firmware version 141 ... simply DOES NOT WORK! The phone accepts the input data (IP address, sub mask, primary dns, secondary dns, default gateway) but after saving everything the 0.0.0.0 static IP address appears again and a "network not connected" message is displayed! Unfortunately I lost several hours to try and try again, searching on the internet and calling for service, but there is nothing to do! However, it has been illuminating a telephone interview with the Italian seller (who was already awared of the problem but not of the solution). Several weeks later the confirmation came to me directly from the technical support of RTX, which confirmed the presence of the bug and its correction took effect in the fimware version 167 and later. The solution is to update the firmware to the latest available firmware version (currently version 171) BEFORE, and to do so you have to leave the dynamic addressing and connect the phone to a router with an enabled DHCP service. Only AFTER the update of the firmware to version 171, you can configure static IP addressing of the phone, and then ... yes it works! A small gem: by pressing the menu button of the phone and typing the key sequence 1-3-9-7-5 a new menu with all the available firmware versions (beta included) is shown. 7) When the base station is found – follow the instructions described on the screen. ATTENTION: due to a firmware or software (skype) upgrade is possible at times that some menus of the phone get stuck and not be able to access some functions. In these cases, prior to the RESET of the phone you can groped a less busy street just off the equipment. For example, on a phone that has always worked correctly, at one point, I happened to click on the CONTACT menu and instead of seeing the list of phone numbers, was shown the message "Download Contacts" forever! Probably in that case the phone was unable to communicate properly with its main base to retrieve the list of contacts, even though it was still possible to make and receive calls and access other menus without any problems. It was enough to turn off the phone AND EVEN the main base for a few minutes. Then the phone has started to function properly, allowing me to access the menu CONTACTS.